Please Vote on May 8, 2018!! 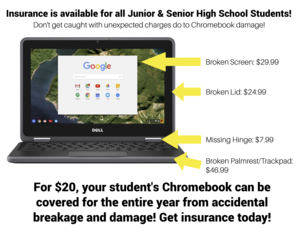 Chromebook Insurance Available for Junior High and High School Students! Students will have the opportunity to opt-in to an insurance plan that will cover their Chromebooks. Read on for more details! How will a Sinking Fund improve school safety and security?